Here is the Lyrics to the hit single - Awon Goons Mi, by Indigenous hip-hop royal and YBNL Nation king Olamide. The prolific Yoruba rapper hails his Gees in d hood and appreciates them for having is back. This one was actually from a freestyle video that fans loved, and he ended up putting the full version out. Crazy jam mehn…. 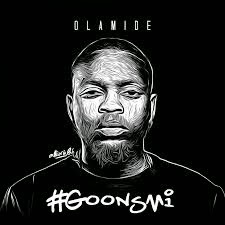 Feel it Y’all….. Olamide Awon Goons Mi!! Its a track you won't wanna hesitate to dance to. Check the lyrics below.